Your files will be quick and easy to retrieve. Almost impossible to misfile. Organised and orderly. Save space & money. 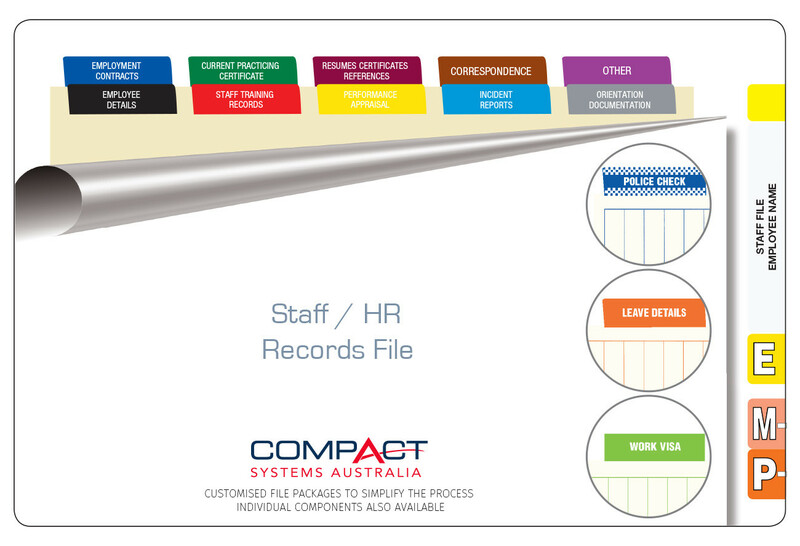 Colour coding of Students name, file type and year for easy identification and file retrieval. Lateral storage of files saves valuable office space and improves accessibility (also suits conventional filing cabinets if required). Tubeclip fastener fitted to folders to ensure secure retention of records. 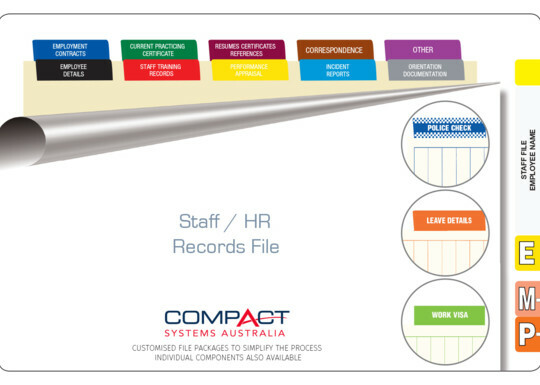 Printed tabbed dividers provide easy access to information within the file, saving valuable time for staff. Various lockable file storage cabinets for small or large applications where privacy of contents is paramount. 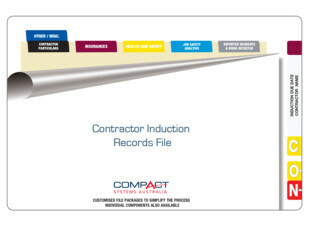 Employee Details, Staff Training Records, Performance Appraisal, Incident Reports, Orientation Documentation, Employment Contracts, Current Practicing Certificate, Resumes Certificates References, Correspondence, Other. (Sold separately in pkts 10) Police Check, Leave Details, Work Visa.